The Hanoitimes� – Moody’s expects Vietnam’s real GDP growth to remain one of the strongest in ASEAN, at 6.7% in 2018 and 6.5% in 2019. Moody’s Investors Service has changed its 12-to-18-month outlook on the banking system in Vietnam (Ba3 stable) to stable from positive as the ongoing Sino-US trade friction may dampen the country’s trade growth. “Economic growth in Vietnam will remain robust, and the banks’ asset quality will improve, helping to strengthen their profitability,” says Eugene Tarzimanov, a Moody’s vice president and senior credit officer. “But asset risks are still evident after years of rapid credit growth, and negative spillovers from the escalating trade tensions between the US and China will see Vietnam vulnerable to slower trade growth,” says Rebaca Tan, a Moody’s analyst. Moody’s expects Vietnam’s real GDP growth to remain one of the strongest in ASEAN, at 6.7% in 2018 and 6.5% in 2019, driven by improved economic competitiveness, exports and domestic consumption. Domestic credit growth will moderate to about 16% in 2018 from 20% in 2017, as the Vietnamese government seeks to curb inflation in the country at 4%. However, rapid credit growth in recent years can result in a deterioration of asset quality as new loans mature, although this situation is unlikely to occur during Moody’s outlook period of the next 12-18 months. 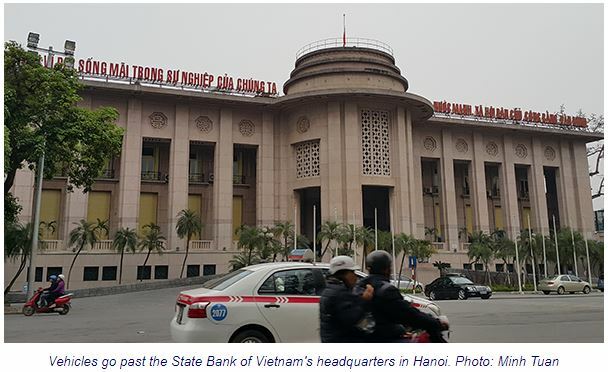 Moody’s rates 16 Vietnamese banks, including three controlled by the government, which together accounted for 61% of total banking system assets at the end of 2017.